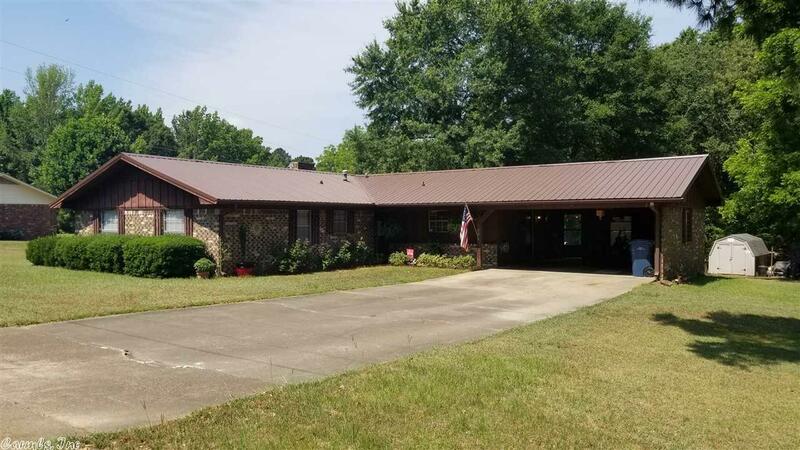 All Brick Home with 4 Bedrooms, 2 Full baths, Large Living Room with Cathedral Ceiling. Large Kitchen with lots of Counter Space and Cabinets, Island Bar, and Dining Area. Dining area has sliding glass door leading to the Patio for outside Entertaining. New Flooring in 2015-2016, New Metal Roof 2016 and other updates. Home offers Two Car Garage for Parking and concrete driveway. Home sits on 1.03 acres of land.